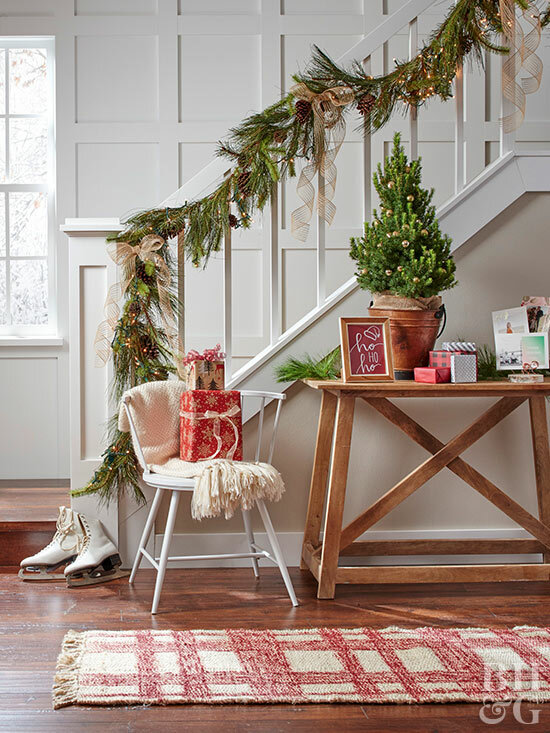 I've always thought I would love a home with stairs. These pictures reminded me of that. 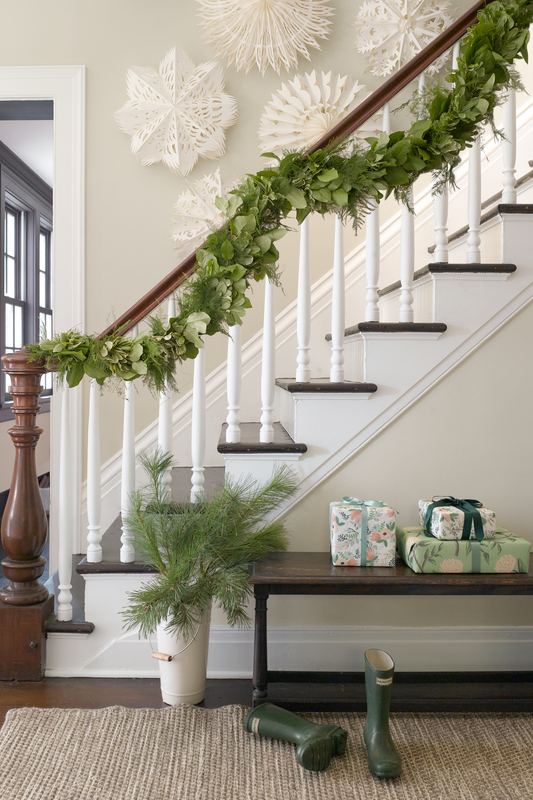 There's so much you can do to dress up a staircase for the holidays. 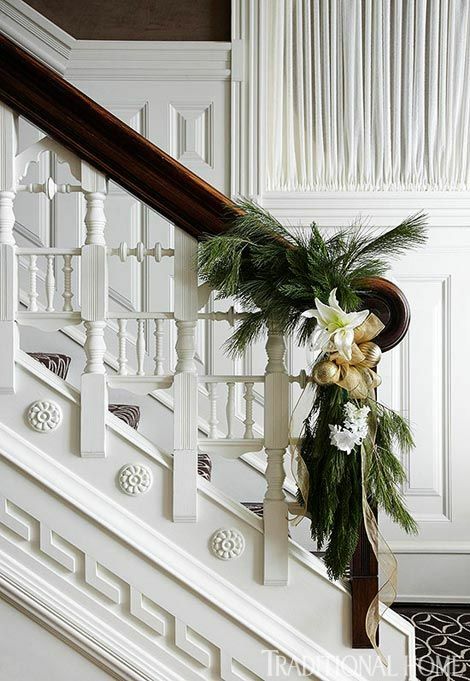 If you are lucky enough to have stairs in your house, here are some beautiful ways to decorate for the holidays. 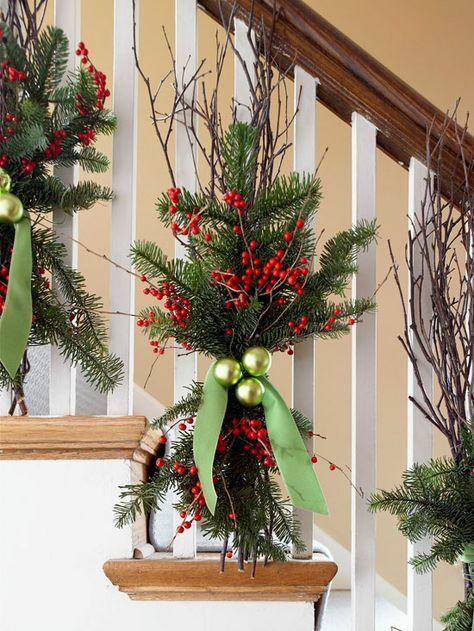 Some are simple and some are elaborate, but they all have Christmas beauty in common. 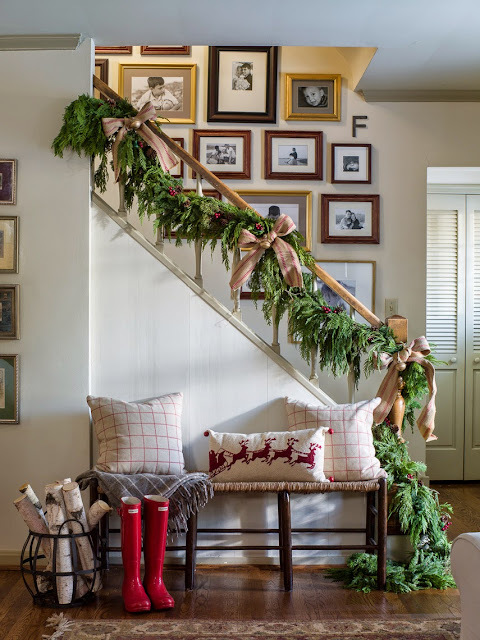 For a bigger statement, head all the way up with the swags. 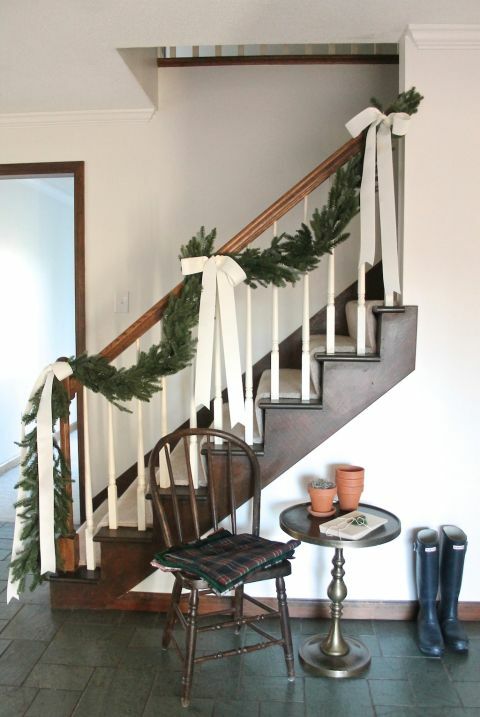 A plain wreath tied with ribbon is a beautiful, simple nod to the holiday. 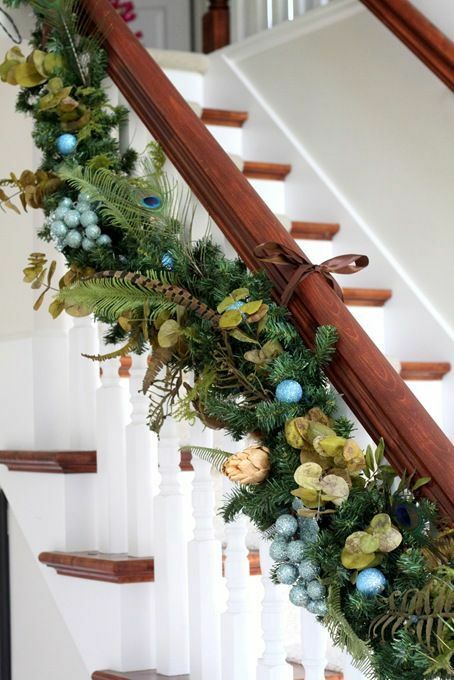 Garland is always stunning and carries your eye to the top. 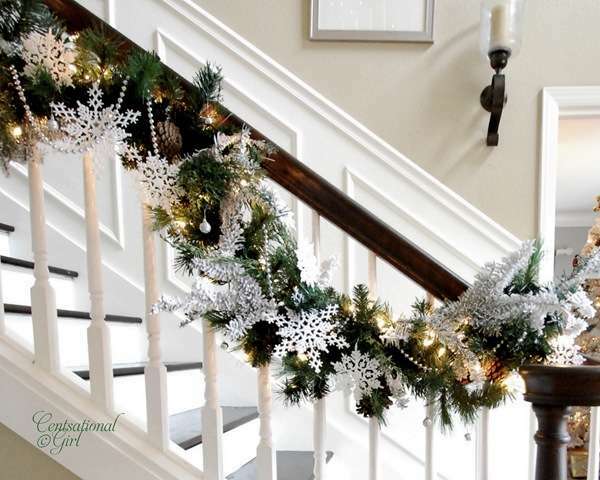 Add ornaments of all types for a much more decorative look. 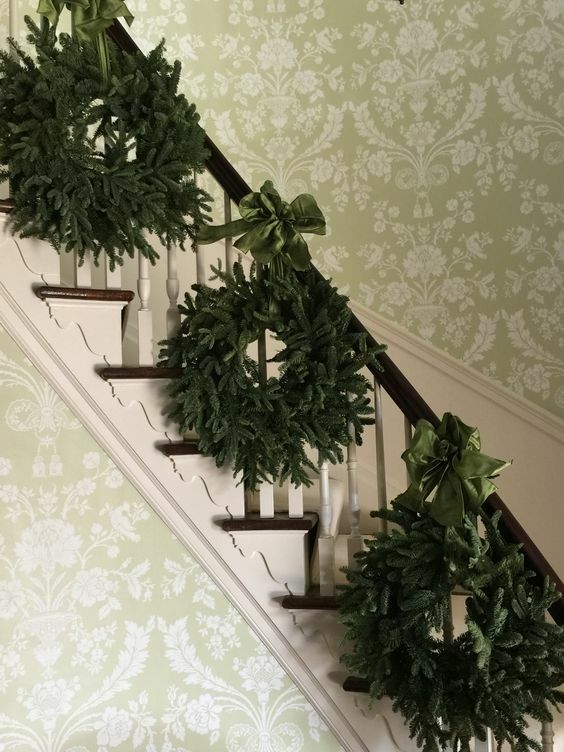 Did you have a favorite? 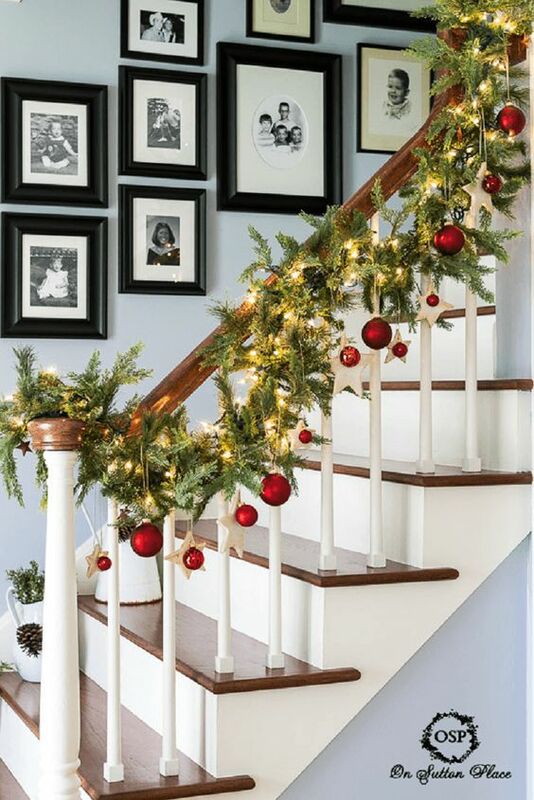 How do you decorate your stairs for the holidays?